A big, quality screen, fluid and stylish OS and premium build are all sprinkled with Nokia's magic in a package that's made to impress. We've been there already - and we don't mean the review we have of the Lumia 900 for AT&T. After all, it's a Lumia 800 all over again, only the screen got bigger. And yet, we are delighted to meet this smartphone again - and we'll give it that, it looks stunning in white. 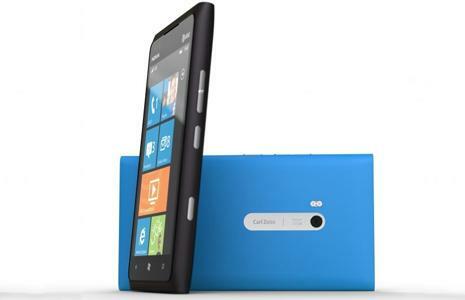 The Nokia Lumia 900 is being offered with four color schemes - the traditional black, white, magenta and cyan. The white version we're testing stands out with its glossy ceramic surface. The matte finish of the rest is more practical perhaps - in terms of both grip and durability, but a matte white body would've been almost impossible to keep clean. Build quality is flawless as always, it's just that the white Nokia Lumia 900 doesn't have the heavy-duty looks of its siblings using other paintjobs. It trades them for an extra bit of sophistication. The phone still appears ready to take a lot of abuse, as it is a blend of polycarbonate and Corning Gorilla Glass. The body is not painted the old fashioned way but it's rather made of plastic that has the same color in depth, scratches and marks from accidental drops won't stand out as much. We've always said that AMOLED screens and Windows Phone OS are a perfect match. The Nokia Lumia 900's display is yet another proof. The 4.3" unit impresses with infinite contrast and deep blacks. In a manner befitting a Windows Phone flagship, Nokia Lumia 900's screen has dropped the PenTile matrix, found in the unit of the Lumia 800, so, despite its lower pixel density on paper, it is nicer to look at from up close. Above the screen you will find a discreet earpiece, the ambient light and proximity sensors, as well as the front-facing camera. Below the screen are the three touch-sensitive buttons for getting around the beautiful Metro UI. There is absolutely nothing on the phone's left side but things get a lot busier on the right. The volume rocker is there, along with the power/lock key and a dedicated camera button. The Lock button feels somehow less solid than the rest of the phone's body but it's definitely not as flimsy as the same control on a Nokia N9. The half press of the shutter key could've been a lot more distinct and the stroke is too shallow for our liking. The Nokia Lumia 900 is comfortable to use and single-handed operation is a breeze - having all the controls on one side certainly helps. The device's side curves allow it to fit perfectly in your hand. The glazed white finish cannot match the grip of a black Nokia N9 but there's little to be concerned about in terms of durability. Our biggest disappointment was the absolutely flat display. Granted, the Windows Phone interface doesn't need a curved screen like the swipe-driven MeeGo but feeling the (somewhat rough) edges of the screen isn't the most pleasant experience. The first tab of the People hub that shows you a list of all your contacts (phone contacts, social network friends, email pen friends - everything), with a search shortcut and an add contact button. Contacts are ordered alphabetically, indexed with colored squares with a letter. You can tap any one of those letter boxes and the screen shows you the entire alphabet highlighting the letters actually in use. You can tap a letter to scroll to that part of the list. Contacts can be sorted by either first name or last, and they can be displayed as "First Last" or "Last, First" (the two settings are separate), you can also filter contacts by choosing which services are used to make the list of your contacts (so you can hide Twitter contacts, for example). One of the new features of the hub is Groups, a handy way to organize your contacts, with "text everyone" and "email everyone" features. All the status updates from the grouped contacts are pulled in from their various social networks, and you get access to their online photo albums too. Much of the functionality available when viewing the list of all contacts is there when viewing a single photo. Below the contact's photo and their latest SNS update, there are actions - "call mobile", "text mobile", "write on wall", "view website" and so on. Below each action, in smaller type and grey or blue letters, are the target for the action (e.g. phone number, email, site URL) and where that info came from (Google, Facebook, etc.). The History tab displays the complete history of exchange with a contact in one place, listed chronologically. Everything but status updates is listed here - calls, texts (actually threads from the Messaging hub) and emails. You could use voice dialing instead - the Lumia 900 did well in recognizing our commands, though it did have issues separating the two Dexter's in our contact list - "Dexter" and "Dexter Morgan". Still, it did recognize the unusual name of "Mandark". An interesting option is the International assist - it comes in handy for dialing while abroad or calling someone outside the country. What's missing is the ability to set any song from your collection as a ringtone - a feature some of you might miss. You can download new ringtones from the Marketplace though (possibly at some cost though). Upon an incoming call, the contact's photo will appear full screen and for you to slide up and reveal the call buttons. This will prevent any accidentally answered or rejected calls. The visual voicemail functionality is also part of the OS (but its availability is dependent on your plan and the carrier). It works as you would expect, by letting you read your voicemail messages instead of listening to them. Windows Phone 7.5 delivers a unified inbox for email, a highly requested feature. You can link multiple inboxes (and unlink them individually later), so that you have a single place to check for new messages. Conversation view was expected - it lists emails between you and a contact chronologically, grouping them by subject. It's the display style that Gmail popularized and is the best way to keep track of a conversation over email. Text input on Windows Phone is limited to the default QWERTY keyboard and offers portrait and landscape modes - that's it. The layout remains the same across all WP devices and the only options you have are changing the language of the keyboard and resetting the dictionary that displays word suggestions. The main view of the Pictures hub offers four options - camera roll, albums, date and people. A swipe to the left reveals what's new, which displays your Facebook friends and liked pages' new picture galleries. Another swipe shows your favorites section, where the photos you've faved are displayed. The video player doesn't recognize .AVI files - in other words, don't expect DivX or XviD support. However, the Zune software on your computer will automatically convert such files to .MP4 - so, you can watch those formats on the Lumia 900, it's just that the transfer to the device can take quite a while (depending on your computer's capabilities). Nokia Music works as a general music player but with a location-aware twist. You also get access to the Nokia Music store, which is an alternative to the Zune Marketplace. The location-aware feature is called Gigs - as the name suggests, it finds concerts near your location. The camera key will wake the phone with a single press - that is unlocking it, and start taking shots. Unfortunately it doesn't utilize the proximity sensor as before for pocket/purse detection and now the camera app can be accidentally started in your pocket. The 8 MP shooter on the Lumia 900 was a reasonable capable performer in terms of image quality. There is a good amount of resolved detail and colors were good, if slightly oversaturated. The camera also boasts pretty good dynamic range and even though noise levels could be better they are still tolerable. The Nokia Lumia 900 has joined our Photo comparison database and will strut its stuff against the likes of Android front-runner Galaxy S III and the 4X HD by LG. The tool's page will give you information on what to watch out for. The video camera interface is identical to the still camera one and has plenty of features too. You can use scenes, calibrate contrast, saturation and sharpness, change the white balance or exposure compensation and also add image effects. You can use the LED as a video light too. Windows Phone has yet to break the 1080p barrier and the Lumia 900 isn't the phone to do it. It's limited to 720p, which is now within the reach of cheaper smartphones. Still, it's quality, not quantity that we're looking for. The video quality is really good like it was on the Lumia 800 - there's a lot of resolved detail for a 720p shooter, the image looks crisp and free of noise and artifacts. Videos are shot with 14Mbps bitrate, which is more than some 1080p shooters and double of what the N9 does. Videos have stereo sound but at a low bitrate (it hovers around 80Kbps). The Video comparison tool will show you the Lumia 900 compared to its peers, the Omnia W and Xperia U but feel free to choose an opponent of your liking. The tool's page will give you information on what to look out for. The Nokia Lumia 900 has quad-band GSM/GPRS/EDGE support and tri-band 3G with HSPA. Syncing with a computer is done with the Zune computer application. It's the only way to transfer files directly between your computer and your Windows Phone - there's no Mass storage mode. Additional SD storage isn't available on Windows Phone so the Lumia 900 doesn't offer such an option. Another syncing option is the cloud. SkyDrive is a free Microsoft service that gives you 25GB of cloud storage. You can even have your photos automatically uploaded as soon as you snap them. Mango brings Wi-Fi hotspot functionality too. All you need is an active SIM card with a data connection and you're all set. The Internet Explorer on Widows Phone was updated to the latest version for the 7.5 update and it improves the user interface. The Windows Phone Marketplace is playing catch up with the Apple Appstore and the Android Market. As of April 2012, it hosts north of 90 thousand apps available. It's organized into four main sections - applications, games, music and the HTC apps store. A fifth section called Updates shows up when one of your installed apps has received an update - there's an Update all button, which will save you the hassle of updating each app individually. Genres themselves are separated into sections too - new releases and topartists/albums/songs/playlists. For each song, you get a 30 second preview (same as iTunes). If you have a Zune pass, you can stream the entire song, just like you would on a Zune player (it's 10 US dollars a month). An app preloaded by Nokia is App Highlights - it gives you an assortment of apps into several categories to give you a start. The first category is actually called Starter kit - a list of what are considered vital apps (e.g. YouTube, Netflix, etc. ), then there's Addictive (games go here), Health+ and Foodies have apps to keep fit and to gorge yourself respectively. The app is accelerometer-enabled and can reshuffle the lists of applications every time you shake the phone, which is a fun way to find new apps. Also, the tile for the app would occasionally change to advertise some of the apps it recommends to get your attention. Search is available for the Marketplace but right now it pulls together search results from all sections - games and apps alike. Microsoft have fixed the issue where songs would get mixed up in the search too, which was annoying. Not all games support Xbox Live - the ones that do are in the corresponding section in the Marketplace. We did test games like Need for Speed, Kinectimals, Angry birds and had no problems with the Nokia Lumia 900, the 1.4GHz processor and Adreno 205 GPU were more than adequate in handling more complex graphics. The Maps app uses a big font with white letters on black background that make reading easy. It still requires you to take your eyes off the road though, it won't put SatNav apps out of business. A cool functionality of Local scout is you can pin places to your homescreen. So let's say you like a pub and like to check it out from time to time, read reviews, call for a reservation - it's right there on your homescreen - that's neat. The Nokia Lumia 900 managed to get a GPS lock quickly (about a minute) and you can make that even faster if you have a data connection for the A-GPS. Wi-Fi and Cell-ID positioning is also available if you only need a rough position. Nokia Maps wasn't preinstalled on our unit - there was an app that showed screenshots of Maps plus a link to the Marketplace to get it. It's a simple operation and once you're done, you can start using Nokia Maps. It's an alternative to Microsoft's Bing Maps. It lets you view maps in three different modes - map, satellite and public transport. You can use pinch zoom to navigate the map (you can also enable old-school zoom controls) and panning around is fast and smooth. Nokia Maps does only 2D mode - there's no 3D option like Google Maps has for example. It pulls its maps from the Internet, so you'll need an Internet connection to use it. Moving on to the more interesting part of the duo - Nokia Drive. 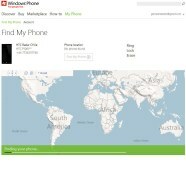 Unlike Maps, Nokia Drive lets you easily download maps for offline usage for any country in the world - free of charge, of course. Bigger countries are split into pieces, if you don't want to waste your internal memory with maps you'll never use. Maps aren't that big though - the map for the whole US is 1.9GB, while the map for the whole UK, for example, is 274MB. The 16GB built-in memory is more than enough for any trip you're likely to take. It's easy to delete unneeded maps or download new ones on the go wherever there is Wi-Fi. Other than 2D/3D, settings are pretty scarce - you can toggle daylight and night color schemes, choose whether landmarks should be displayed and choose a voice for the navigation. Many voices in a big number of languages are available for free download. While navigating, you can zoom in and out depending on your preference to see more of the road ahead or more details. At the top of the screen is an instruction for the next turn in big, easy to read white on blue letters and a big icon noting the turn. At the bottom of the screen you have readings for how much you have to travel before reaching your destination and also you're current speed. Those get pushed to the left side of the screen in portrait mode. We like Nokia Drive's no-distraction's approach to navigation, but we are used to having more control over how the route is chosen. A few other options would have been welcomed too (the Symbian version of Nokia's SatNav solution is very feature-rich). Still, with the Nokia Lumia 900 you get what no other Windows Phone handset on the market currently offers. The free voice-guided navigation might be just what it takes to convince people to go for the Lumia 900, instead of competing WP phones - at least in that price range. All you need to do to use the site is register your email (Gmail, Yahoo, Hotmail, etc.) and then setup an account on your Windows Phone device. The features most important to users are the Find, Ring, Lock or Erase. To use them you'll have to input a phone number that comes from the list supported countries. After you've done this the website will have access to your phone's location so you'll be able to pinpoint its almost exact location. The other features are pretty self-explanatory - Ring will use your phone's ringtone to send a signal if you've lost it around the house, Lock will lock it with a 4-digit PIN code and Erase will wipe all your sensitive data off the device so you don't have to worry about it falling into undesirable hands.